Valdobbiadene is set among the hills near Treviso, midway between the Dolomites and the Adriatic Sea, a unique combination for climatic factors. The first historical memories of Valdobbiadene go back to the 11th century, when local squires controlled the territory as vassals of the Holy Roman Empire. Afterwards, at the end of the 14th century, the good governance of the Republic of Venice brought a more peaceful period that lasted for more than four centuries. This ancient charming town boasts a unique landscape due to nature as well as to men taking care of the land. During springtime, the area is protected from the cold notherly winds by the foothills. During summertime, cool sea breezes from the Adriatic sea guarantee the ideal difference between day and night temperature. Of alluvional origin, the soil texture is composed of silty clay loam, with a good amount of minerals and trace elements. 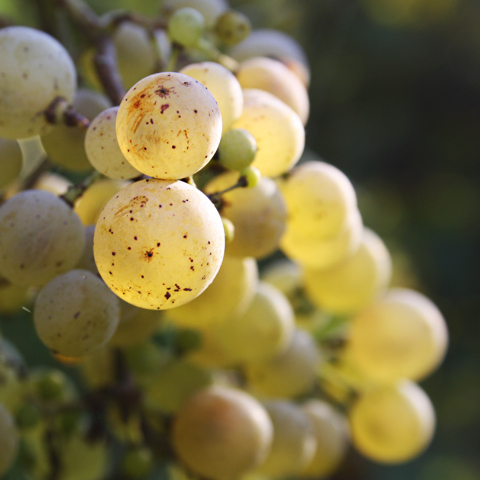 It offers grapes suitable for the production of quality sparkling and semi-sparkling wines with a highly intense and aromatic bouquet of floral notes, mineral character, and a good acidity that enhances freshness. 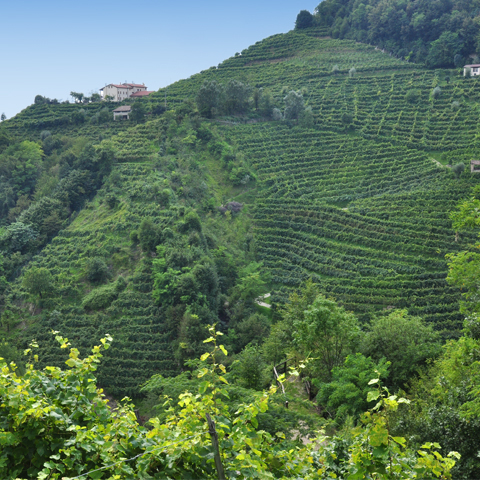 It can be hard to farm this soil type, but at the same time it is fascinating because of the vineyards set on steep hillsides, where it is difficult even to stand on. 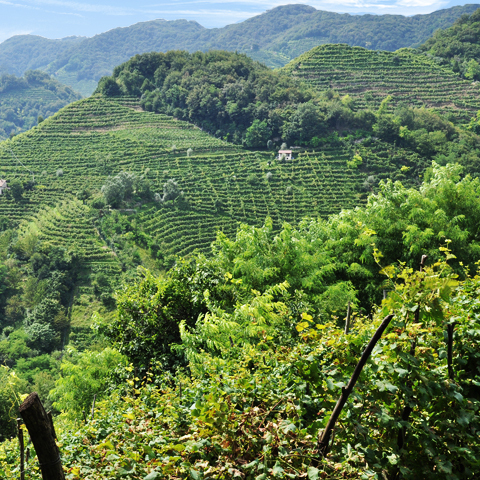 Winemakers have conquered the hills inch by inch, creating a particular scenery, so beautiful that Unesco has candidated the area as one of the World Heritage sites. 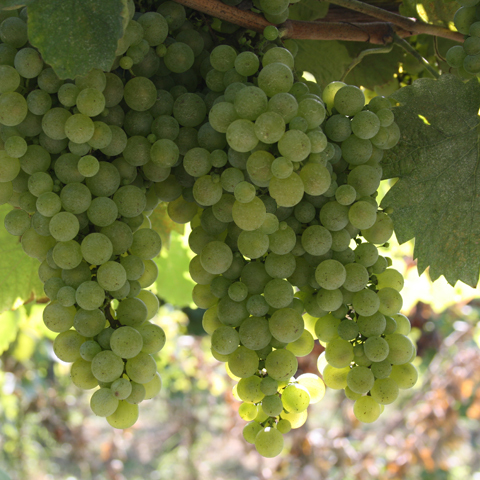 Vineyards are located only on the sunny sides of the hills, at an altidude between 50 and 500 meters above sea level, while the northern side is largely covered with woodland.